Laurence Tosi has resigned his post as finance chief at Airbnb. The company has hired a search firm to find a replacement for Tosi, who had held the top finance spot since 2015. Tosi, who previously was CFO at The Blackstone Group, had been a staunch champion of taking Airbnb public, but upon Tosi’s resignation CEO Brian Chesky said there will be no IPO this year. Published reports suggested that Tosi may have been too financially conservative for Chesky’s taste and Silicon Valley’s freewheeling culture. Biopharmaceutical firm Allergan named Matthew Walsh to lead the finance function. He takes over for Tessa Hilado, who had said last September that she would retire once her successor was found. Walsh has headed finance at Catalent since 2008. Finance chief Robynne Sisco has been promoted to the additional post of co-president at Workday. Sisco joined the provider of enterprise cloud applications in 2012. Valero Energy said that Michael Ciskowski, who leads the finance function, plans to retire on May 3. Treasurer Donna Titzman, who is also CFO of Valero Energy Partners, will take over on that date for Ciskowski, who had served as CFO since 2003. Kirk Lusk has been named to the top finance spot at Heritage Insurance Holdings. He will serve as co-CFO with current finance chief Steven Martindale until the latter’s contract expires on April 28. Lusk joined the firm in November of last year when it acquired NBIC Holdings, where he had headed finance since 2013. 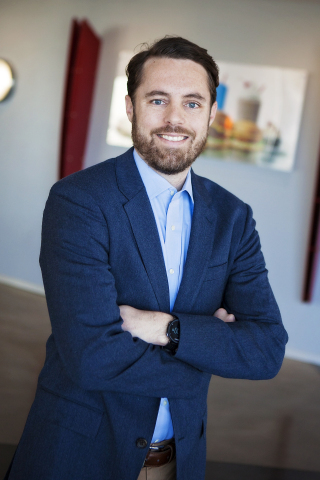 Drive-in restaurant chain Sonic has promoted Corey Horsch to head finance. He succeeds Claudia San Pedro, who in turn has been promoted to president. 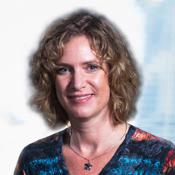 Horsch had been vice president of investor relations and treasurer since joining the firm in 2015. Defense contractor Mercury Systems has promoted Michael Ruppert to CFO and treasurer. He replaces Gerald Haines, who had held those posts since 2014. Ruppert has been at the firm since 2014 and most recently was executive vice president of strategy and corporate development. General merchandise and pharmacy store operator Fred’s has named Joseph Anto to head finance, taking over for the departing Jason Jenne. Anto formerly was senior vice president of strategy and M&A at MediaNews Group (doing business as Digital First Media). FormFactor said that finance chief Michael Ludwig plans to retire as of March 2. The company is undertaking a search to succeed Ludwig, who has led the finance function since 2011. Rich Mack will step down from the top finance spot at The Mosaic Co., and will leave the firm in May. Anthony Brausen, senior vice president of finance at the producer and marketer of potash and concentrated phosphate crop nutrients, will serve as interim CFO.